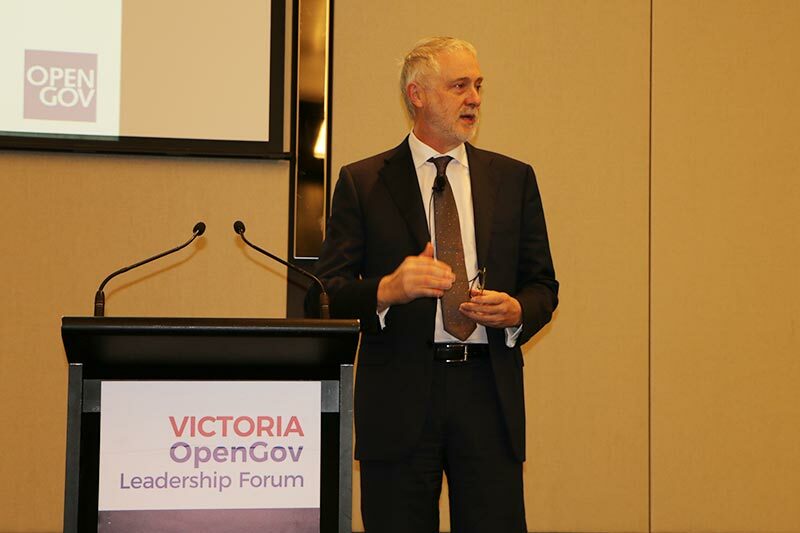 The Hon Gavin Jennings, Special Minister of State and Leader of the Government in the Legislative Council in Victoria delivered the keynote address to an audience of senior ICT executives from the public sector at the Victoria OpenGov Leadership Forum 2017 held on June 15. Minister Jennings spoke about ‘fostering new capabilities and sustainable ICT solutions within the public sector.’ One of the key themes of his speech was turning data from a privacy liability into an asset, which can enable the delivery of better government services, thereby providing better customer experience and improving the lives of citizens. Minister Jennings talked about the plans for Service Victoria and described it as one of the big digital platform projects that would hopefully transform the customer experience of Victorian citizens across a range of different platforms. The Victorian government is trying to create a digital capability to deal with the large volume of transactions. The government has recently entered into a significant contract in relation to the systems integration part of that service. Testing is going on regarding where the system stands now. “We have been engaging with many people in relation to systems, ranging from VicRoads to Births Deaths and Marriages, in terms of large scale transactions, but a whole range of other smaller transactions as well. And building that capability with the intention of going live by the end of the year into early 2018. That will be quite a transformative experience for our citizens. Less than a handful of transactions of those large volume transactions are currently completed online from beginning to end in Victoria. This is something that we find to be completely untenable,” Minister Jennings said. Minister Jennings called upon the audience to stop working in silos and to see themselves as part of a bigger entity, which is the Victorian public sector capability. Through the example of the work around family violence, he demonstrated the value of information sharing. Rather than looking at data or information as belonging to an agency or service, it is viewed through the prism of family violence and providing support to citizens. Government agencies and departments need to change their mind set and explore how data can be used at the micro level, at the intimate level of individual citizens, and the macro level for the state, to enable informed decision-making and for tracking the effectiveness of the state’s policies and actions. “We are dealing with a culture that says the service owns the information and not the citizens, and we are holding on to that data in the name of the privacy protection of the citizens, when we are actually protecting the privacy and sovereignty of the dataset and the system. It’s about time we actually flip that idea, because effectively we have turned data into a privacy liability, as distinct from an asset. We have to flip it over and we have to actually see it as an asset to be used in the name of individual citizens, an asset to be used in relation to our overall capability, in terms of being able to provide timely and appropriate services, but also an asset in relation to data analytics, policy development,” Minister Jennings explained. Earlier this year, the Victorian government renegotiated the TPAMS (Telecommunications Purchasing and Management Strategy) contract, resulting in cumulative savings of around AU$34 million per year. It was a series of educated procurement decisions in relation to establishing panels that underpin that bidding process. It means greater efficiencies, and also allows for flexibility with regards to departments procuring through their individual contracts within a financially constrained environment. Minister Jennings stressed the need to engage pro-actively with the private sector to achieve the desired results, whether it be on the macro scale contracts and platforms or at an intimate, micro scale. He highlighted the work the Victorian government is doing with Code for Australia, developing innovative applications for providing better access to housing or justice services to citizens or to be able to provide a greater capability within departments to look at finance tracking through the Department of Treasury and Finance in relation to contracts. “Through those innovation projects on which we have worked with Code for Australia, we have been able to develop great, new ways of interfacing between the large-scale bureaucracy and the intimate needs of our citizens,” Minister Jennings said. He concluded his speech, asking the audience not to focus on the limitations of government decision-making, of bureaucratic impediments. But to focus instead on the need to create a responsive government accessible to citizens, the government’s customers. That and the need to be brave enough to embrace the change necessary to achieve that. Code for Australia is a network of designers, developers, and civic technologists which describes its mission as creating spaces for government to come together with the public to design, develop and deploy amazing technology solutions. At the Victoria OpenGov Leadership Forum, OpenGov recognised 10 Victorian government agencies for their efforts in creating better citizen outcomes through ICT innovation.